Yesterday I had the pleasure to attend a public lecture by Richard Ryan at Ghent University. 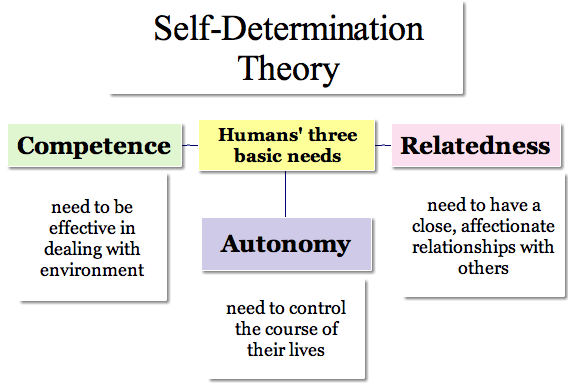 Ryan is famous for his work with Deci on the Self Determination Theory (SDT). So: SDT is no excuse for e.g. letting children learn without guidance or structure. Ryan made it very clear later on in his talk that autonomy within structured classes was the most effective – he also mentioned scaffolding in this case. I did notice that most of the time Ryan mentioned links between this motivation-theory and wellbeing. He did mention a link between performance for bankers and the theory (but on the slide you could see this correlation was much smaller than on feelings of wellbeing) and the only time the effect on learning was mentioned, was in what I discussed above. Pingback: De moeilijke link tussen motivatie en leren | X, Y of Einstein? Pingback: Dan Pink over motivatie op school (video) | X, Y of Einstein?